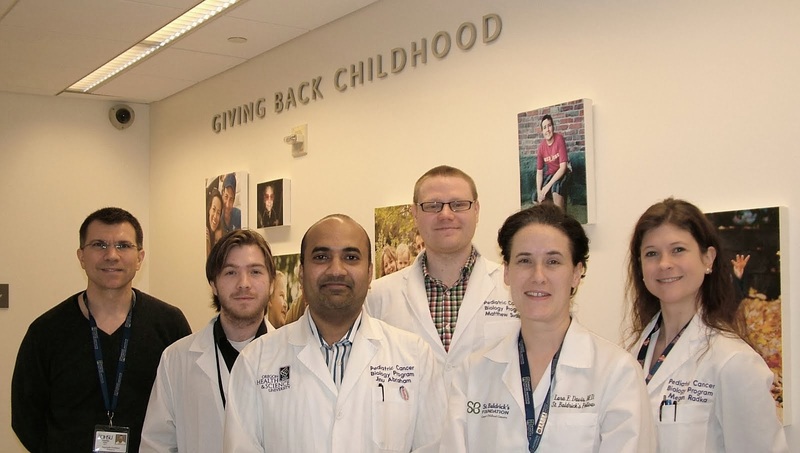 Congratulations to Lara, Nicolle and GH on their recent manuscript acceptance to Pediatric Blood & Cancer. In this study, Lara & Nicolle describe a first-approach to canine osteosarcoma (as a model for human osteosarcoma). Co-authors include Colorado State faculty Bernard Seguin, Oregon State University faculty Shay Bracha, Stuart Hefland, John Mata and Kevin Marley, Druker laboratory members Marc Loriaux and Jeff Tyner, Keller lab alumnist Elaine, and current Keller lab member Jinu. This work, some of our earliest on canine osteosarcoma, was supported to a great extent by the Scott Carter Foundation and the Thrasher Research Fund. This study is now available online here and is the cover article of the print version issue.